Aniket Vardhan combined two Royal Enfield motors to get 998cc. Royal Enfield will gently add 35cc to the displacement of its existing 500cc single-cylinder motor for use in its racy looking new Cafe Racer. Meanwhile, working alone, a young man from Columbus, Ohio has combined two 500cc Royal Enfield motors to make a 998cc V-twin. 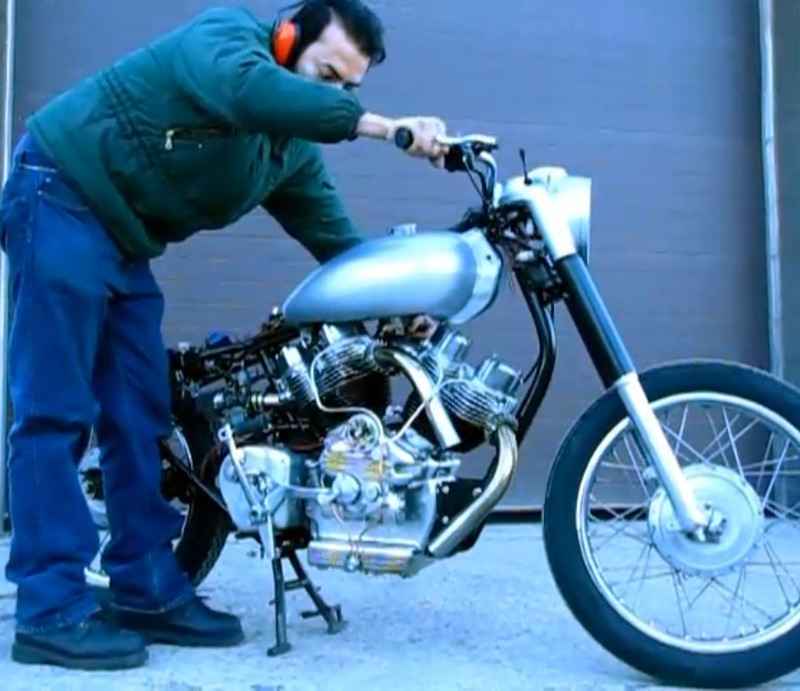 Not only did he get it to run and fashion a motorcycle around it, he has refined his design to allow small-scale production. Aniket Vardhan's steady progress started with his 700cc "Musket," a classic looking motorcycle powered by his V-twin made of two Royal Enfield 350cc singles. "Completely redesigned for small scale production, the new engine takes into account feedback from bike enthusiasts across the globe, has many technical detail improvements, more efficient CNC manufacturing process and last but not least, aesthetic refinement. "Briefly, it has a tighter 59-degree V angle, ignition and oil filter housings incorporated into the timing cover with simpler oil plumbing, easier frame fitment with all the rear engine mounts needing no modification and a very simple right-side shift conversion for the four-speed... gearbox. "The test bike also has a new down-tube mod that allows the frame top-tube to be stretched only 2.5 inches for a wheelbase around 56.5 inches." Obviously, one man working with a few potential customers in mind is much different than an international company working to mass produce motorcycles for a worldwide audience. But what an inspiring story he makes.